Love this! Very innovative and great layout. Very nicely done! 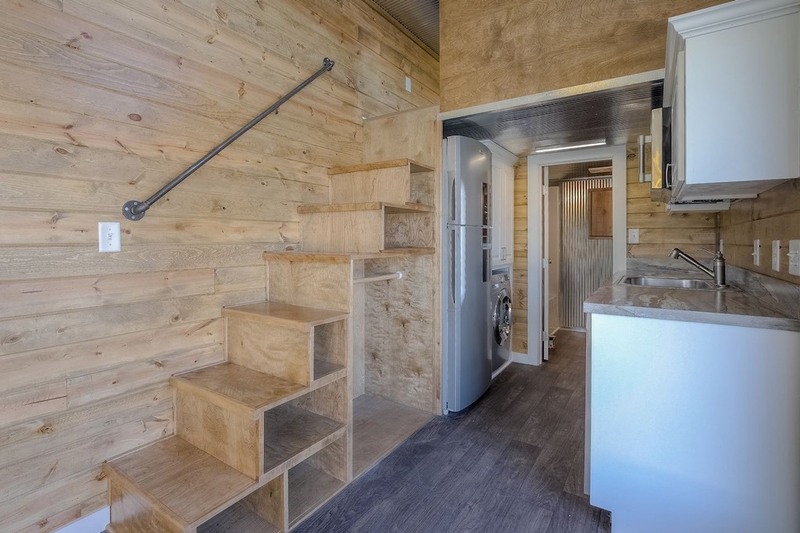 Will keep your company in mind once ready to have my tiny home built. Is that small storage area and that porch add-ons or cut from the original length of the container? If these are add-ons, fine, but if these were cut from the original container length then this is a fail. Who sacrifices living space for a “porch” of any sort? 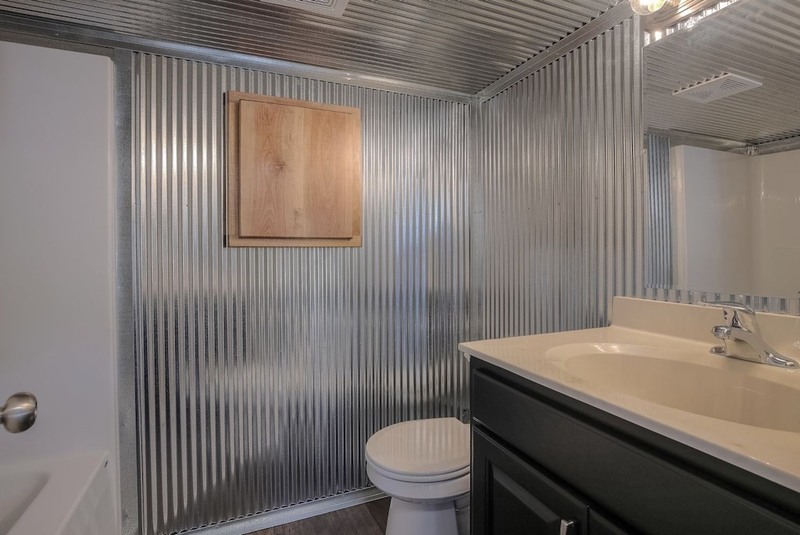 It’s a container home. 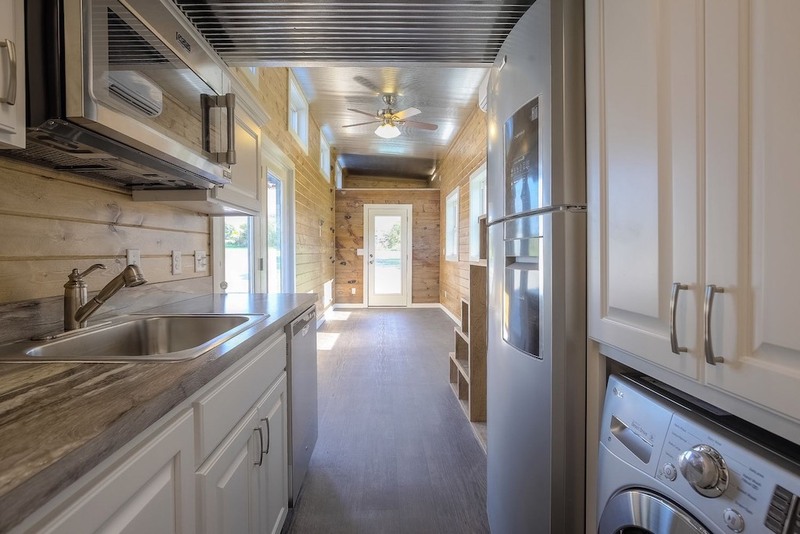 Container homes are all about space management. I would hate to think they sacrificed a bedroom to claim that your container is better than the neighbor’s because it has an outdoor area. Beyond that, meh, it’s as good as any other container. From what it looks like at the base, it is more likely a 40ft/53ft container! 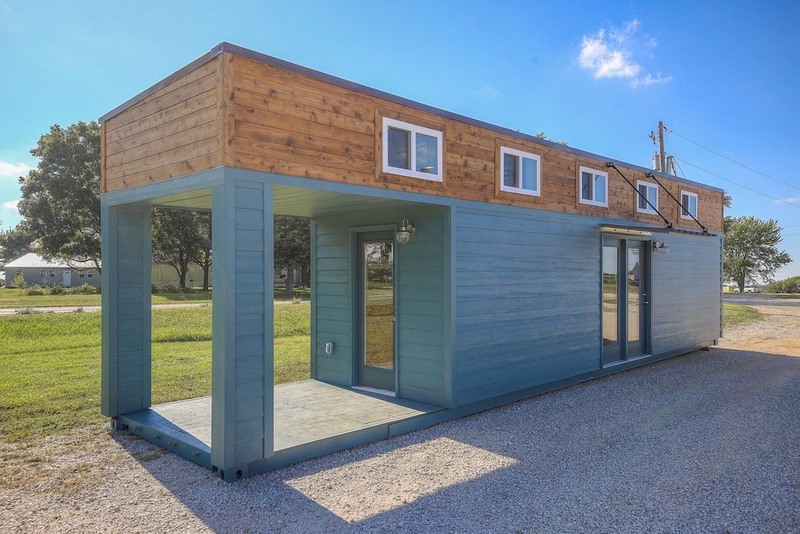 It’s a great container home with the porch. After all one of the ideas of tiny house living is to be outdoors. The patio is great. There’s nothing like open a door to a patio with plants and a water feature and having the cool breeze come in…..
Is that a climbing wall to get into the second loft? I love it! Good eyes! I never would have noticed otherwise. I’ve thought of doing the same thing. If you climb, it’s such an easy, elegant solution. Love the porch, too. I’d just add screens. I like the covered front porch. Gives a chance to add a little outdoor area with some ambience to the home. It could be a great place to have coffee in the morning or just sit and read outside. The fact that it’s part of the house means you could also build in one wall for wind protection or privacy. Good idea. 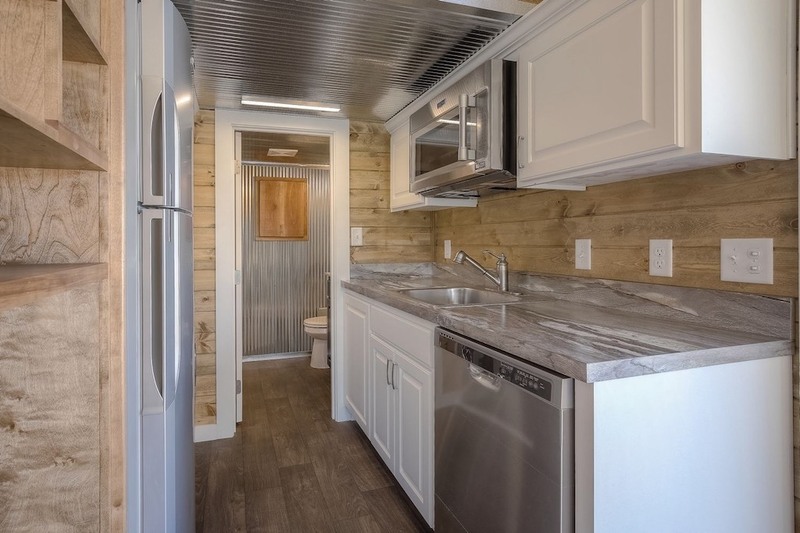 Overall this looks like a very practical and livable layout. Plus being a container makes it easy to move. Well done. Love this! 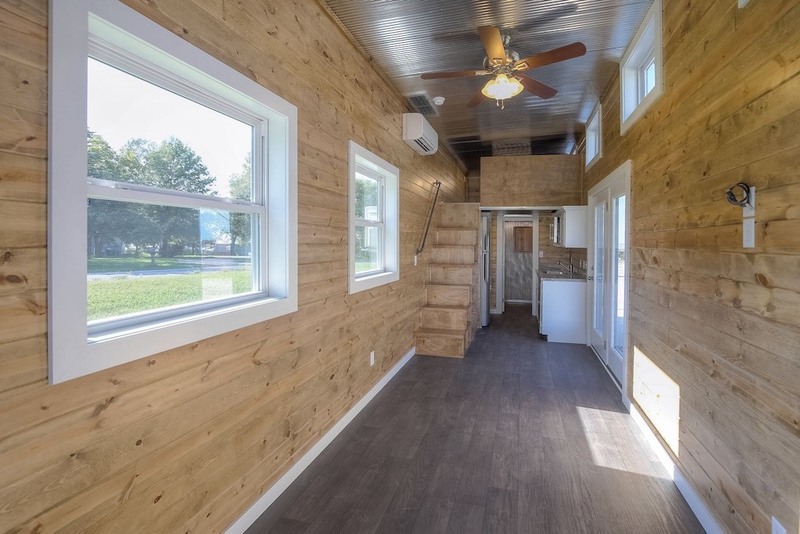 It’s a lot like a THOW inside which is unusual for a container home. I really like the light wood and the metal accenting. 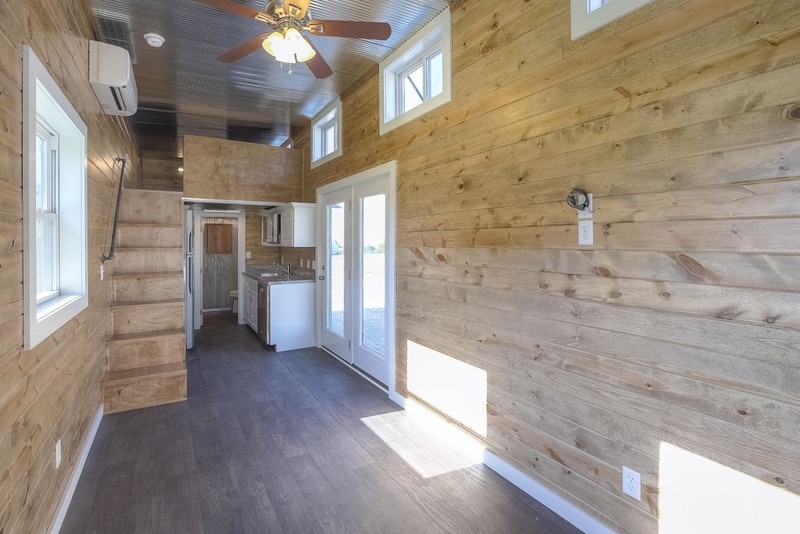 312 sq ft. of living space is a perfect size so I think the porch is a great idea. It could easily be enclosed to make more living space if a person really wanted to do that. I wouldn’t. Window layout and positions are great I think. The inside of house is very bright really. Wood color also looks good.